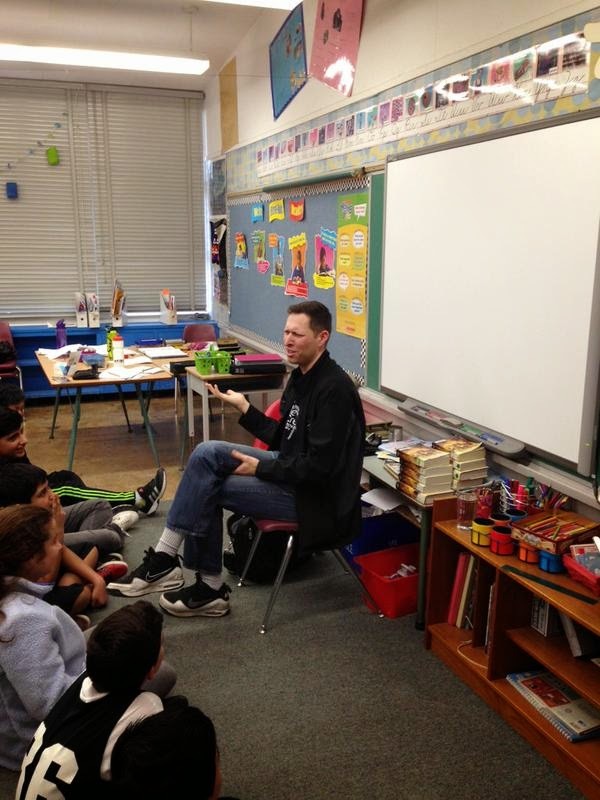 It was a real pleasure to visit the students at Morley Elementary School in Burnaby as part of their literacy week. A little reading, some Q&A--and an awesome impromptu staring contest with a young man seated up front, won by yours truly! (Oh yeah. I've still got it.) Looking forward to seeing some of these Grade Sevens again when they arrive next year at Byrne Creek. Special thanks to Principal Hal Wall for the invitation, and Ms. Chu for hosting in her room.